The value of taking a break. In the creative process, and in all kinds of work, we often overlook the importance of taking a break. This week, Aaron Becker, a local illustrator from the Pioneer Valley (who has relocated to Grenada, Spain for the year….) 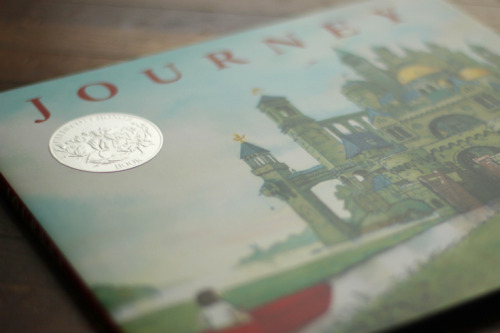 and winner of the 2014 Caldecott Honor Picture Book for his magical book Journey, wrote eloquently and honestly about reaching a momentary creative limit and the importance of finally take a break—maybe for just a few days or a week, but a break nonetheless. In my experience, hitting a limit (thoughtfully, and with awareness…) can be as inspiring to our work (and the longevity of our creative life….) as finding those ‘terrific stories’ and ‘lovely brush strokes’ he writes about in his blog. Each time I take a break in the midst of working, especially when it’s a bit earlier than I think I need one, I’m always amazed at how refreshed and resilient my mind feels when I return to working. This entry was posted in art + words, artist, blog, children's book, illustrator on February 13, 2015 by Susa Talan.